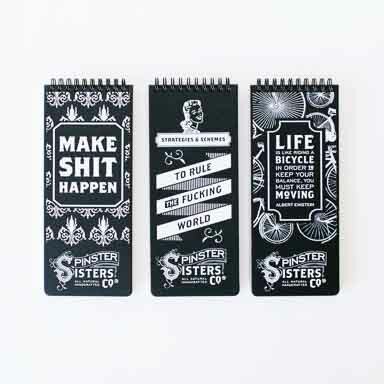 Bum Stuff | Apothecary | Spinster Sisters Co. 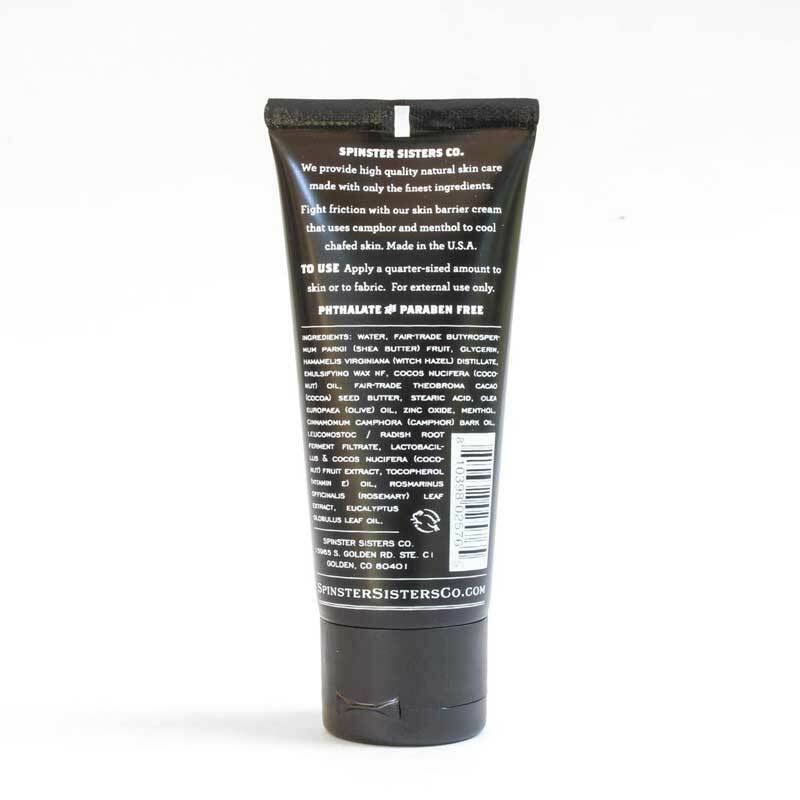 Friction is no match against Bum Stuff, our anti-chafing cream! 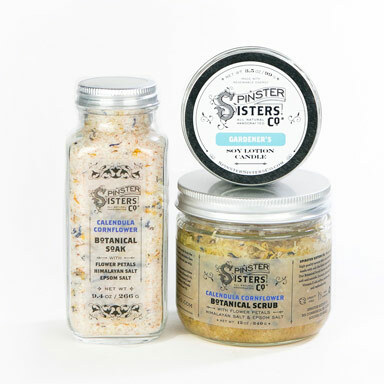 The blend of shea butter, coconut, olive, and vitamin E oils helps protect your skin from chafing. It includes camphor and menthol to cool irritated skin. Use it when you run, cycle, hike, or ride. 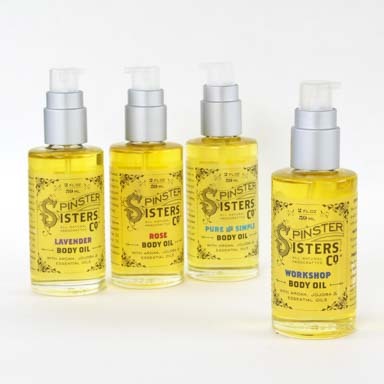 Spinster Sisters Co. uses only Fair Trade Shea and Cocoa Butters. Water, Fair-trade Butyrospermum Parkii (Shea Butter) Fruit, Glycerin, Hamamelis Virginiana (Witch Hazel) Distillate, Emulsifying Wax Nf, Cocos Nucifera (Coconut) Oil, Fair-trade Theobroma Cacao (Cocoa) Seed Butter, Stearic Acid, Olea Europaea (Olive) Oil, Zinc Oxide, Menthol, Cinnamomum Camphora (Camphor) Bark Oil, Leuconostoc / Radish Root Ferment Filtrate, Lactobacillus & Cocos Nucifera (Coconut) Fruit Extract, Tocopherol (Vitamin E) Oil, Rosmarinus Officinalis (Rosemary) Leaf Extract, and Eucalyptus Globulus Leaf Oil. Before you run, cycle, hike, or ride apply a quarter-sized amount to skin or to fabric coming in contact with skin, as preferred. Enjoy a much better experience knowing that chafing is a thing of the past. For external use only.